The most expensive divorce on record was finalized on April 4 between Amazon CEO Jeff Bezos and his wife MacKenzie, a novelist who played a part in the retail giant’s success from the get-go. 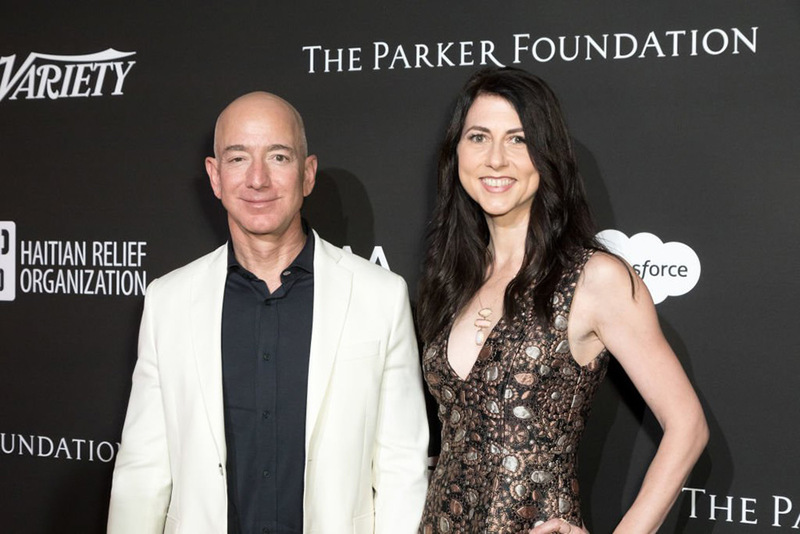 Left unsaid is that the 25% of the couple’s Amazon stock that she’s keeping—equal to 4% of the company overall—is currently worth $36.5 billion. The windfall—which she’s set to receive in 90 days or so—will catapult her into the upper echelon of the world’s richest people. At the moment, it puts her at No. 23 on the Bloomberg Billionaire Index—two spots ahead of casino magnate and Republican mega-donor Sheldon Adelson, for reference. Among women, she’s No. 4. Bezos, as you can imagine, seems ready to move on from this stage, which has seen her husband’s extramarital escapades become headline news. “Grateful for the past as I look forward to what’s next,” she said. But let’s dwell on this for a moment. There are so few female billionaires, it’s worth noting when one joins the rarefied club. By Forbes’ most recent count last month, there were 2,153 billionaires in the world; of them, just 244 were women. Of those female billionaires, only about a quarter are self-made. The dearth of uber-wealthy women has been probed for years now, and some of the explanations won’t exactly knock your socks off: women are underrepresented in the C-Suite and remain marginalized in the venture capital universe. Women’s aversion to risk—whether in investing or entrepreneurialism—is also sometimes considered a factor. No matter your feelings about billionaires—they aren’t exactly the most popular bunch these days—it matters when money, not to mention gigantic sums of it, ends up in women’s control. There is, of course, the inherent power that comes with a big bank account, plus women tend to display admirable traits when managing their wealth. They are, for instance, more interested than men in “sustainable” investing—84% versus 67%, according to a Morgan Stanley survey. And The Economist Intelligence and RBC Wealth Management found that high-net-worth women cited ‘the ability to make the greatest impact’ as their top factor in charitable giving. Men’s? Tax benefits. No doubt it’ll be fascinating to see what MacKenzie Bezos does with her newfound individual fortune. She hinted that she has things in the works on Thursday—“Excited about my own plans,” she said—so we may not have to wait long to find out.